Nandi Hills, also known as Nandidurg or Nandi Betta is an ancient hill fortress situated in a district called Chikkabalapur in Karnataka. Situated near the town of Nandi, the ancient belief is that they are the origin of the Arkavathy River. The ancient Dravidian temple dedicated to the Nandi statue that is located here is responsible for the hills getting their so-called name. However, different stories surround the origin of its name. During the Chola Period, the hills were called Ananda Giri, which means “The Hill of Happiness”. Some say that Yoga Nandeeshwara performed his penance here and the hills are named after him. It is also said that the name of Nandi Hills originated from the resemblance of the hill to a sleeping bull (Nandi). At a height of 4851m above sea level, Nandi Hills is a favorite destination for all nature lovers and a popular picnic spot. If you like taking photographs and appreciating the beauty of nature and are moved by beautiful views that Mother Nature has created for us, then Nandi Hills is the ideal getaway for you. Some breathtaking scenery, rare flora, cool fresh air and peace, makes the hills the perfect place for a holiday. Also known as, Tashk-e-Jannat, which means “Heaven’s Envy”, Tipu Sultan’s Fort is a destination that is of interest to all the visitors at Nandi Hills. The fort was actually built by Haidar Ali but Tipu Sultan completed it. Standing atop the hills, the fort features five arches with minarets, showing off the beautiful art and architecture of the ancient era. The walls and ceilings of the fort are engraved with beautiful paintings. 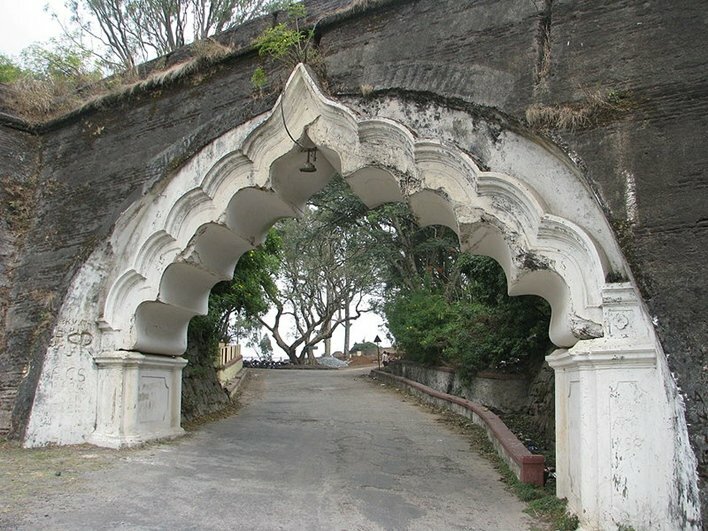 The beautifully designed towers and archways of the fort act as a major attraction for tourists. It was once the summer residence of Tipu Sultan. Many trekking trails with great scenic surroundings go round the Fort, making it a haven of trekking opportunities for visitors. A cliff at an altitude of 600m, Tipu’s Drop is the ideal spot for a panoramic view of the city. It has a gory historic past attached to it too. Legends say that this was the place where Tipu Sultan forced his prisoners down the cliff to meet their death. On a windy night, the wind rustling through the leaves is said to be the screams of these prisoners. A beautiful and ancient temple, Bhoga Nandeeshwar Temple is situated at the base of Nandi Hills, making it the perfect place for a weekend break and a popular picnic destination. It is twinned with the Yoga Nandeeshwar Temple, which is situated at the top of the hills. Both temples are dedicated to Lord Shiva. 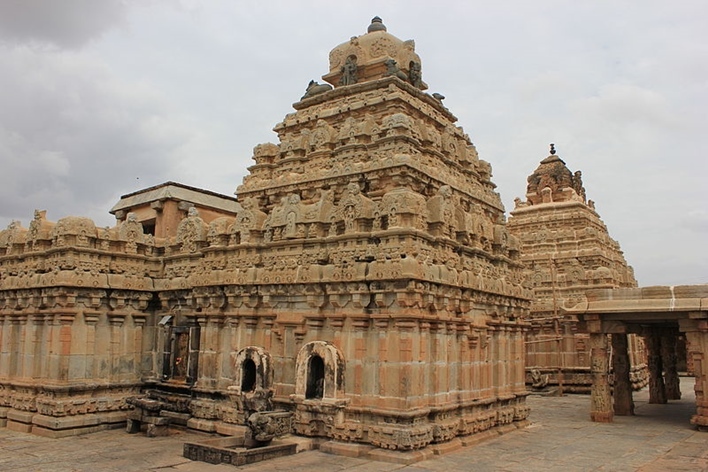 The twin temple concept is popular only in Karnataka, where two temples, both dedicated to the same deity are built, one at the top and the other at the bottom of a hill. The temples are exquisitely built, with monolithic stone pillars that are adorned and sculpted with divine deities. The magnificent concept to design the intricate pillars makes it very hard for one to leave the temple. It is an architectural masterpiece indeed. Amrita Sarovar means “The Lake of Nectar”. It is also known as “Lake of Ambrosia”. 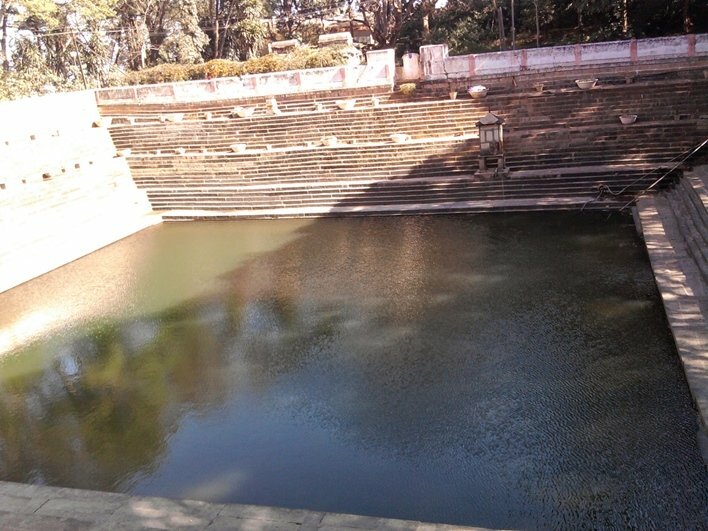 The Sarovar is a beautiful water body that has been formed by perennial springs. It is also the prime water source for the area. A visit at night is a must, to see the beauty of the sparkling clear water in the moonlight. Very close to, it is the chabootara, (platform) where Tipu Sultan used to pray. Gandhi House is also a popular tourist spot in the area. It is where the late Mahatma Gandhi used to reside. The DPAR Government of Karnataka maintains the residence. A village that is the home of Muddenahalli Museum built in memory of one of the most accomplished scientists of India, Sir. M Visvesvarayya. Other attractions around the area include Anjaneya temple, Nellikaya Basavanna, Anthargange and Baanathi Bande. A beautiful 150 years old colonial house, its British architecture draws tourists by the throngs. During its time, it was the summer retreat of the Commissioner of Mysore, Sir Mark Cubbon. It is surrounded by lush green gardens. It has now been converted into a guesthouse by the Horticulture Department. Go away with a beautiful and memorable experience of Nandi Hills by paragliding over the hills and valleys that the area is so famous for. The landscape, terrain and the alluring altitude, not to forget the lush green forage everywhere make it the perfect cyclist paradise. You will be sure to get a cycling/biking experience that you will cherish for the rest of your life. Nandi Hills can easily be accessed by road as well as by the rail as it is conveniently networked with the major cities in Karnataka including Bengaluru. Nandi Hills does not have its own airstrip and the nearest airport is Hindustan Airport, which is about 42km away. Mysore Airport is 165 km away. From either airport, you can take a train or travel by road to the Hills. 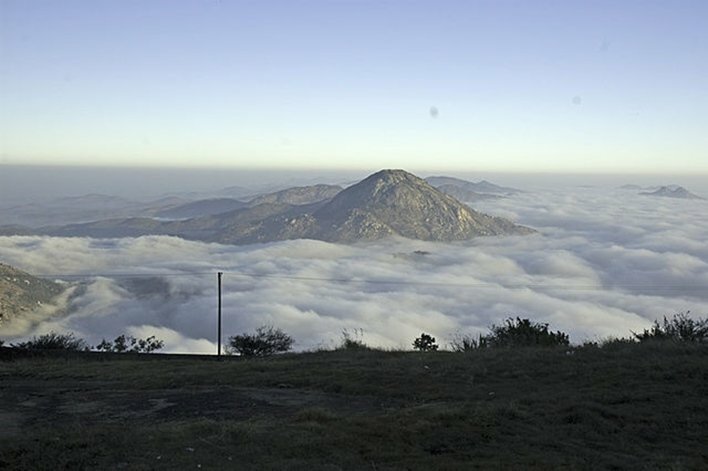 You can drive or even bike to Nandi Hills from Bengaluru via the Bangalore- Hyderabad Highway. Other cities from which you can travel to Nandi Hills by road include Bellary, Mysore and Devanahalli. Nandi Hills does not have its own bus station and the nearest one is Nelamangala, which is 43km away. The nearest train station is Oddarahalli which is 16km away. Dodballapur is 17km away from Nandi Hills and Chikkaballapur station is at a distance of 19km. Trains from Bengaluru come to all these stations.